Have you encountered a message “App could not be downloaded due to Error 103” when you were downloading a game app from the Google Play Store on your Smartphone? Well, if you have and are worried if there is something seriously wrong with your phone, then you do not have to worry. This is a common problem that many of the Android Smartphone users face. There are easy to follow methods to fix this 103 error code issue. These errors are explained in detail below. What is Google Play Store 103 error? This error occurs mainly due to network issues and not due to cache or the internal storage problems. Whenever an Android phone user tries to update or install the app from the Google Play Store, he or she will get the message that the apps cannot be downloaded due to 103 error. There is no specific reason or cause as to why you encounter the Play Store 103 error code when you are downloading an app from the Google Play Store. The errors seen when downloading apps has got to do with Google Play Store updates, Google Play Store stored data, Google Play Store cache issues or even Google account issues. It is not due to Android phone issues or any virus issues. There are many cases where the 103 code error has occurred due to network issues. Some users might be able to download the app, but the installation of the app would show an error. There are some cases where even the download of the app will not happen and an error is shown on the screen. The problem does not go away even if you close all the apps and switch off your Android phone and then switch it back on after a couple of minutes. If you have tried switching off and switching on the Android phone and also checking out the compatibility issues with the phone and still face the Play Store 103 error when downloading apps from Play Store app, then it is time for some serious methods to get rid of the issue. 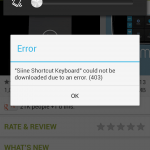 These are quick and easy solutions to break free from the Play Store 103 error code. As network issue is the main cause for the Google Play Store 103 error code to pop up on your smart phone screen, let us check this issue first. If the Wi-Fi mode on your phone is on, then you need to first turn it off. To turn it off, go to Settings option on the phone and then tap on the Wi-Fi option. Tap on the network that your phone is connected to and then switch it off. After a couple of minutes, tap on the same connection and switch it on. This is the same thing you should do for a data connection. Now, try to install the problematic app and you might see it getting installed on the phone. Go to the Settings option on the phone and scroll down to locate the Accounts option and tap on it. Now tap on Google option and then remove all the Google accounts you have signed in on the phone. Switch off the device after this and then again switch it on. Go to the Settings >Accounts > Google on the phone and then enter your sign in details of your Google account. Accept the Google terms and conditions and the settings and then download and install the Play Store app on the phone from trusted sources. Now, try installing any of the apps from the Google Play Store and check if the 103 error is showing or not. Go to the Settings option and then look for the Application manager or Apps or Application settings option (the option varies for different phones). The apps will show on the phone screen. Choose the ‘all’ apps option and scroll down to locate the Google Play Store app. Tap on it and you will be taken to the Play Store app info. Here, locate the clear cache and tap on it to remove the cache. The same way you will have to get access to the clear data option on the Play Store app info. Once you have cleared both the cache and data, tap on the Force stop option. You should locate the Google Play Services and the Google Service Framework apps on the phone settings and then clear their data and cache. After removing the cache and data from all Google apps on the phone, try to download an app from the Play Store app and you will not see the 103 error appear on the screen. What Is Play Store Error Code 920 And How To Fix It? Are you enjoying using the Play Store app on your Android phone? Do you find that you are not able to download or update or install some apps and get a message that says Play Store error code 920? Well, once you find an error on your phone, you would be worried whether something has happened to your phone. You feel frustrated seeing the error and would want to find a solution to the error code problem quickly. Most often than not, we first tend to search on the internet to find a solution to the problem. But, getting a legitimate solution to a problem is not that easy. You will find many websites offering you just one solution for the problem when there are some other ways of correcting the issue. This article provides you with different methods to break free from the Play Store 920 error code. Too much of a load on the data connection. Overload in the cache and this is affecting the app download. Many of the android users face the 920 error code and while one solution works for a person, another solution will be working for a different phone. As there is no unique solution to get rid of 920 error code, it is better to try out the various remedies available to fix the issue. How to fix Play Store 902 error code? As there are many different types of Android device users and plenty of different types of phones on offer these days, many companies are using their own skin over the traditional Android. This is making it difficult to find a unique solution to the 920 error code issue. The following are some of the methods you can try out to get rid of the Play Store 920 error seen on your Android screens. One of the basic methods used to solve the Play Store error 920 is to switch off the Wi-Fi and then turn it on once again. This error might be due to too many tasks that the phone undergoes when the download is taking place. If the phone’s Wi-Fi is on, turn off the Wi-Fi by tapping on the Settings option and then tap on Wi-Fi. Look for the Wi-Fi account and tap on it to switch it off. After this, again tap on the Wi-Fi connection to connect to the existing Wi-Fi account. Once the internet connection establishes, visit the Play Store app on your phone and download the application you want to have on your phone. The app would now get downloaded to the device without any issues. Before going to the advanced options, it is better to reinstall the problematic app. Open the phone’s home screen and look for the application that showed the 920 error. After you have traced it on the phone, tap on it and you are directed to the app download page on Google Play Store. Tap on the uninstall option or even tap on the “uninstall all update” options. After the uninstalling is over, try installing this app once again from the Google Play Store. If the error code 920 does not come when reinstalling the app, then the issue is solved. There could be an overload of the Play Store app with data and the cache which prevents other apps from downloading or installing on the phone. You should clear the cache and the data to resolve the 920 error code. Go to the Settings option on the Android phone and look for Applications option and tap on it. Locate the Google Play Store app option in the Application and tap on it to open the app. Scroll down the Play Store app to find the “clear cache” option. Tap on it to clear all the cache. After this, you should go back to Settings option and once again follow the steps entered above to open the Google Play Store app through Applications manager. In the Play Store app, look for clear data options and tap on it to get rid of all data. After you have cleared the data and the cache, you can visit the Google Play Store app on your home screen and the download or update the troubled app one again. Tap on Settings option on the phone, locate the Accounts option and tap on it. Go to Google Accounts and tap on ‘Remove the account’ option at the bottom of the screen. Tap on it to remove the Google account. After this, you should re-add the Google account on the phone by entering your email address and password to add Google account. After reading your Google account, you visit the Play Store app and download or update the app without the 920 error code issues. The official app store to get access to all the popular Android apps on your Android device is the Google Play Store, formerly known as the Android market. This is a digital distribution app that Google owns and runs. It offers you the option to browse and download all kinds of mobile applications developed using the Android software development kit. It is an app store that comes pre-installed on most of the latest Android phones. If not, you can download the Google Play Store app on the Android for free and gain access to millions of apps that offers music, movies, TV shows, books, and magazines. 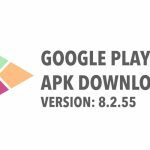 Sometimes, when you are looking to update or install or download certain apps from the Google Play Store, you come across the Play Store 923 error code. If you are coming across such a thing for the very first time and worried that your phone is having a problem, then there is no need to panic. This is an error that prevents you from downloading or updating apps on your phone. It is not the fault of the phone. This is a common case seen in many smart phones and it can happen to some of the paid or free apps offered on the official Google Play Store app. The Play Store 923 error code is a very common error that many of the Android users face. It is an error seen when you download or update an app from the Google Play Store. The progress bar for the download is seen, but the actual download or update does not take place. It is not a serious issue that should give you sleepless nights. There is no need to take the phone to a service center to get it checked. You can make the necessary adjustments to the phone settings by yourself for the 923 error codes. One of the main reasons for the Google Play Store 923 error code to show on your phone screen is due to the lack of enough memory space on the phone or your SD card. If you have space on the SD card, then try to download and install the app on your SD card. If this does not work, then the cache and the data on the Google Play Store would be the issue. There might be some hidden files in the cache or the data that is preventing the download or installation of the new app. The Gmail account on your phone could be causing this problem. How to fix Play Store 923 error code issues? The following are some of the ways to fix the Play Store 923 error that shows up on the Android phone screen when updating, downloading or installing an app. The Google Play Store app cache might be the reason why you are not able to install or download a new app on the Android Smartphone. Let us try to clear the cache and see if the download is possible. Go to the home screen or the app info on the Android phone. Look for the gear icon, which is the settings option and tap on it. Scroll down the Settings section to locate the Apps or the Application manager option and tap on it. Tap on the “All” apps option and you see a list of all apps on your phone. Scroll down to locate the Google Play Store app and tap on it. Once you get into the app info, look for cache option and then tap on the clear cache option. The data stored in the Play Store app might be preventing you from installing or downloading a new app or even upgrading an existing app. The steps involved to clear the Play Store data are as follows. Click on the Settings option on your phone and then look for the Application Manager option. Tap on the Application manager and choose the all apps option. Scroll all the apps on the screen to find out the Play Store app and tap on it. With the app info page, scroll down to see the clear data option and tap on it. The data in the app gets erased. This frees some space in the app and also prevents any data from interfering with the other app installation or download. Now, try if you can carry out the upgrade or install of the problem app. Another easy method to correct the Play Store 923 error code issue is to uninstall the current Google Play Store app on the phone and then once again install the latest version of the app. Go to the Settings option and then tap on the Apps option or the Application Manager option that comes on the screen. Locate the Google Play Store app and tap on the uninstall option. Once the uninstallation of the Play Store app on your phone is complete, you should look to install the newer version of the app on the phone. You should download the Google Play Store apk file on the phone from any of the trusted sources. 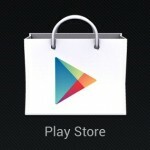 The downloaded Google Play Store apk file will be in the download section of your phone. Tap on it to install the Google Play Store app. After the reinstallation is complete, you can now try to update, install or download the problem app on the phone. How To Fix Google Play Store Error 963? One of the most popular apps that you see pre-installed on many of the Android phones is the Google Play Store app, formerly called the Android market. This is the official app store of Google and the Android operating system. The Play Store has tons and tons of apps of various categories that you download to your smart phone for free or by paying a nominal fee. The development of the applications is through the Android software development kit. Some of the popular categories of Play Store include books and TV shows, music, movies, and games. 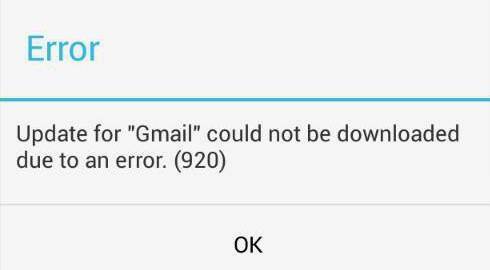 Many of the Android users these days are facing error codes when they download certain Google Play Store apps. You will come across error messages that pop-ups when installing, downloading or updating an app through the Google Play Store. One of the most common errors that show up on screen these days is the Error Code 963. This is a code that will come on your screen when you not only download a new app, but also when you are updating an existing app or even when you are installing a downloaded app. This error is not one seen in a particular Google Play Store app or update. It can cause issues in any of the apps and Android users all over the world have experienced it. This error code is not a difficult proposition to deal with. It’s just a minor issue that you can solve easily. 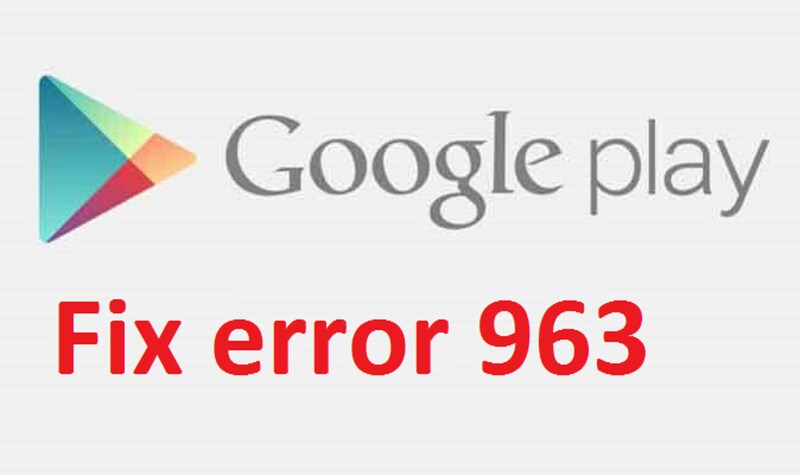 If you see the Play Store 963 error code on your Smartphone screen, there is no need to panic. You can get details on how to fix this error when you read through this article. What is Play Store 963 error code? This is a very common error code that shows up on the Android phone screen when you look to install, update or download an app from the Play Store. It will cause hindrance to the updating or downloading of the app. The message that you see on the screen when the 963 error happens is “cannot be downloaded due to error (963)”. It also says to try the download or install of the app again and if the problem continues, then you should check out troubleshooting options. This 963 error code appears due to the crashing of the data. This is a very common feature in the low-end smart phones. Another reason for this error code to wag its tail is the corruption of the Google Play Store cache. Sometimes, it’s associated with SD memory card issues as the external memory cards are not supportive of updating and downloading larger apps. This error is very common on the HTC M9 and HTC M8 smart phones as well as on Samsung and LG phones. It might also be due to non-updating of the Play Store version. How to fix Play Store error 963? The following are some of the ways you can fix the Play Store Error 963 code issues. It would be a nice idea to first start by keeping the Google Play Store app clean. For this, you just need to clear the cached data of this app. This way the Play Store app will be free from any of the trouble making data housed in it. Go to the Settings option on your Android phone. Look for Applications Manager option and tap on it. Once you are in the apps section, tap on “All” to get a glimpse of all, the downloaded and inbuilt apps on the phone. Choose Google Play Store app option from the list and tap on it. You will see the Play Store app info on the screen. You just need to tap on the clear data and clear cache options you see on the screen. After the data and the cache clears, try downloading or updating the app once again. By unmounting the external SD card loaded on your Smartphone, you might get reprieve from the 963 error code. Go to the settings options on your Smartphone. It is denoted as a gear icon on the phone. In the settings options, locate storage option and tap on it. Then look for “unmount SD card” option and tap on it. Once unmounting is done, download or update the app that was causing problems earlier. After the app gets downloaded or updated, you can remount the SD card on your hone. You should go to Settings, then tap on the Storage option and then tap on the remount SD card option. If the problematic app is loaded on your external SD card, then try to move it to the internal storage to make it work. This is done as follows. Go to the Settings and then tap on the Apps option. Choose the all apps option and then locate the troubled app in the SD card. Tap on it to select the app and then tap on the move to internal storage opting to get it on the phone storage. 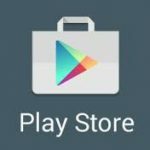 If the Google Play Store app has undergone a recent update, then there are chances that this might be preventing the update or download of a particular app due to compatibility issues. Try downgrading the Play Store app. Go the Settings option on your phone and tap on the App’s options. Locate Google Play Store app and tap on it. Look for the Uninstall update option on the Google Play Store app. Now try to download or install or update the particular app that is causing problems. This method could solve the 963 error code issue. Google Play Store is the number one choice when it comes to finding a platform for downloading Android apps. Founded in 2012 for providing a place for Android apps, Google soon consolidated the different platforms, it created for providing apps for music, books, games and more under a unified platform. As a result Google Play Store was formed out of Android market, which was launched initially. Android apps were required to provide greater functionality for mobile devices based out of Android OS. As Android OS is an open source platform Google made an Android software development kit available for use to develop applications. Providing a platform through which the apps could be made available for download also allowed Google to monitor and review the apps that were being put up for download or purchase by different developers. With the above reasons Google Play Store soon became the trusted platform from where one could download apps for their Android devices. Being an open source platform, today there are millions of apps available in the marketplace as developers and software firms are free to develop and put up different applications for sale or free download through this platform. Indeed, anyone who purchases an Android device will look for Google Play Store on the device from where he or she can start to download apps they need or want. Without apps a smart phone or tablet remains a basic tool but it becomes versatile and multi functional as well as entertaining only with apps. Hence, if anyone faces problem downloading apps through Google Play it becomes a dilemma. This is the number one application that provides access to a world of apps out there; if error messages disrupt download of apps it prevents one to get apps easily on their device. An error that is often seen on Google Play is error 18. This error comes on at times when one is trying to install or download an app through this interface. This error can confuse users as they might not be able to override the error which might persist every time one opens up Google Play and tries to download an app. Hence it is necessary to understand why the error occurs and how one can fix the problem. This glitch often comes on when one tries to download or update an app. It could be due to shortage in memory or storage capacity. 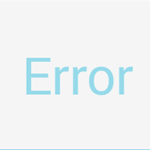 Data crash or unstable mobile connectivity could also be a cause for this error message to show up. Time and date that are inaccurate on a device would lead to this error message showing up. The above reasons are usually the causes behind such an error message showing up. When one’s smart phone or tablet is overloaded with files or internet history, has an inaccurate date or time set that can lead to this error message showing on Google Play every time one tries to download an app. Clearing cache and data on Google Play Store. This is a much advised step which helps to clear out unwanted data and clear out the memory space on your device. The cache and data need to be cleaned out by visiting Application Manager under Settings where Google Play Store is listed. Under the app you will find the clear cache or data option and you need to click on that. The same needs to be done for Google Services Framework. Here clear the cache and data and then do the same for sections like Download Manager and Google Play Services. Uninstall the application from your mobile device. Put on mobile data or Wi-Fi connectivity on your device. Log onto a search engine and look for Google Play Store APK file that is compatible with your device. Allow the installation to take place by overriding any security settings that might prevent installations from unknown sources. Once the APK file is installed, you can start by using Google Play and create a Google account for it. Visit the Settings section and select Apps. Find the app that is giving an error or not updating. You will get the option to move it to internal storage or move to phone. The above steps will move the app to internal memory. You can then go back to Google Play and try downloading updates for the app as before. Other simple solutions to overcome error messages on Google Play are to reboot the device and clear up unnecessary files and applications. Such steps help to make your device run more smoothly; apps will work better and error messages are fewer. Google Play also issues updates from time to time. This helps to keep the app secure and the interface is updated as well. When you keep Google Play updated you are assured of malware free applications to download from this platform. Usually common glitches and errors are also fixed in many updates. The Google Play Store app comes in different updated versions where previous versions are updated with relation with any fixes that were required, new features and ease of use of the application as well as greater security measures. Updates from Play Store are often issued within a short period of time. The version 8.2.55 which was released for Android OS devices came about a week after the last version was released. Every update ensures greater comparability and security for Android devices. If you have Google Play Store on your device, it is important that you download the updated version as and when these are made available. The updates that are available are known through text or push messages that arrive in your device. Find the largest range of apps in different categories on this platform. Link any Google account, you have to monitor your downloads and other activities. Use the same Google Play account in multiple devices. Update apps as well as delete or install new ones through this interface. 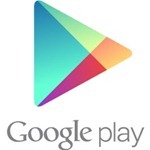 For the above features, Google Play Store is an essential app for most Android devices. It allows users to find all popular apps such as chat services, email account apps, shopping and other utility apps through this platform. As the largest number of apps and vendors provide their services through this platform, it becomes the one solution for all downloads. Find the version that is compatible with your mobile device. Check that the version you download will run on the Android OS that your mobile device runs with. The above mentioned update for Google Play Store was created to overcome certain malware infected apps that were found on this platform. This also caused a lot of bad press to happen about Google Play Store. Hence, this update focused on removing the possibility of finding malware or spam ware in the apps found on this platform. The Play Protect feature has been launched in this version. Though millions of apps are found on this Play Store, they are regularly scanned. This is done for games and different kinds of utility and entertainment apps found on this platform. It has also been made a policy that Play Store would launch an update every week so that malware infestation possibilities reduce with time. With every update of Google Play Store users can experience several benefits. For instance, there is a new and improved user interface that one can check out on this platform; there are new app categories to be found as well. Though every update might not create a distinct look and feel differently in the app, but improvements do happen in the background. Hence, whatever works well are kept and other aspects are perfected on the side. In certain cases updates are launched for certain regions. Often beta versions of updates are released for certain regions and then global updates are released. This particular app version strives to stabilize the different amenities. It is advisable that users of the app get the latest version update installed as it is released; this helps to ensure that bug fixes are implemented which in turn provides greater security measures to your device. As it becomes a gateway for different apps to be launched and downloaded, you need to ensure that security and protective features of Google Play remain high. The installed application needs to be removed from the mobile device. One needs to visit the search engine on their mobile web browser and find the compatible Google Play file for their device. The file needs to be downloaded from a trusted source. Once the source is verified, the file needs to be downloaded and installed. When the right file is installed, it will be the latest updated version and work fine without errors. In such ways one would be guaranteed an updated and working Google Play on their mobile device. This in turn will ensure a secure environment for downloading applications as well as updating them through this platform.